TO its critics, the iPad Pro is an expensive, oversized tablet. But spend some time with it, and you can certainly see the merits in what Apple has created. The 12.9-inch screen is superb to work with, especially if you are a creative type. Video and photo editing is a delight. The A9 processor is powerful enough to cope with up to three streams of 4K video - something that many laptops would struggle with - let alone a tablet. 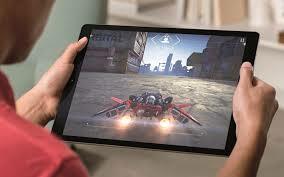 Apple says the graphics capability is a staggering 360 times that of the first iPad. Creating something special in Garage Band or editing photographs is also a richer experience on the bigger iPad. Using multiple screens is a breeze. The 2732-by-2048 resolution at 264 pixels per inch brings whatever you are creating to life. It's an appealing product for engineers, designers, artists - especially if you are using the very precise Apple Pencil, which costs $165. The pencil is super responsive. 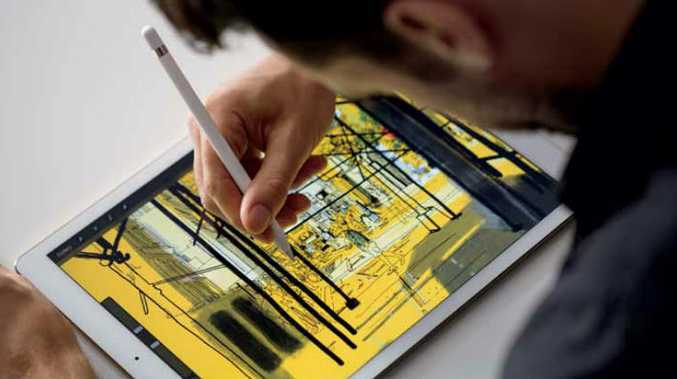 When using the pencil, the iPad Pro scans its signal 240 times per second, giving it twice the data points it normally collects with your finger. There are some great sketching and drawing apps like Paper and Procreate, which make the most of the pencil. You can easily imagine someone using a 3D modelling program on the bigger iPad for a roadworks project and then updating the file on the job and sending it back to the office in real-time - or a doctor showing a patient a medical procedure on screen. 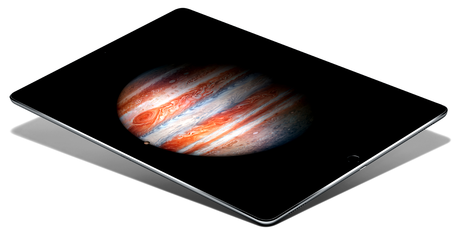 The iPad Pro is actually a little lighter than the original iPad with its 9.7-inch screen. The superb resolution makes it awesome for watching movies or playing games. When it comes to general use, I found myself often using it in portrait mode, especially when doing things like checking out news. 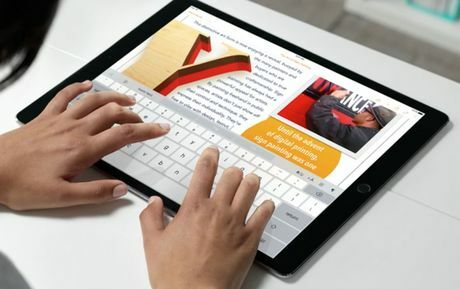 The Smart Keyboard ($269), which features some pretty incredible technology, turns the iPad Pro into a working laptop. It also folds in different directions, like other iPad covers, to become a stand so you can prop the tablet up for watching a movie. The onscreen key on the iPad Pro is also more than adequate, showcasing an extra line of keys so the numbers are visible all the time. The iPad Pro's four speakers deliver a beautiful sound and change dynamic according to how you position the tablet - the left and right channels are always coming from the correct direction, whether you are in portrait or landscape mode. The rear eight-megapixel sensor includes stabilisation for video and photos, while the front-facing camera is 1.2 megapixels. 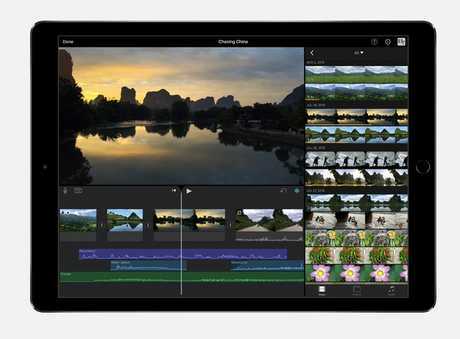 There are long lists of apps that have been updated and optimised for the iPad Pro, including Apple's iMovie, which includes support for 4K movies. With pricing ranging from $1249 for the 32GB wi-fi version to $1699 for the 128-gigabyte version with cellular support, the iPad Pro is not cheap. But for Apple lovers, it certainly deserves its own niche.